I know I just showed this dress on a Modest Monday a few weeks ago, but it was so easy to just grab it and go for church that I wore it again this Sunday! Right now most of my clothes are still packed up, so all my Halftees are in a box somewhere. This dress didn’t need anything special, so I went with it. We have been working on getting our wood floors finished this past week. I’ve been in super old clothes while we have been staining the floors, but thankfully for the most part they are turning out great! We had one stain appear on the floor after we put the stain down, so we are getting a professional to come in and see if they can fix that spot. We start the many coats of polyurethane this week, that should be an adventure! I’m so grateful for my husband’s experience with wood (he was a cabinet maker for 6 years) which is helping us save money! I’m also thankful for my flexi clips. 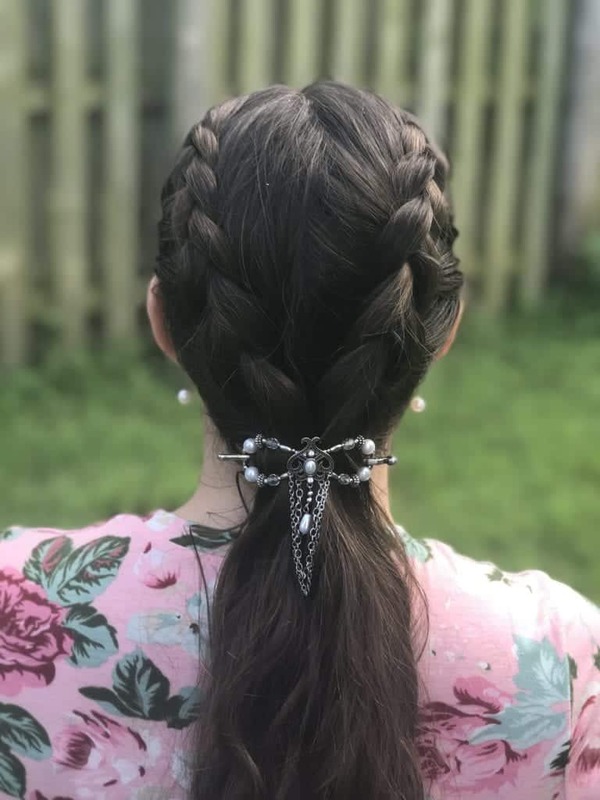 I’ve worn one literally every day for weeks now, as they have been fantastic about keeping my hair out of paint, stain, and out of the way while we took wallpaper down. I’ve been working on getting our school room set up in our basement, so I’m excited about getting the last of my new books in the mail and for us to get started soon! 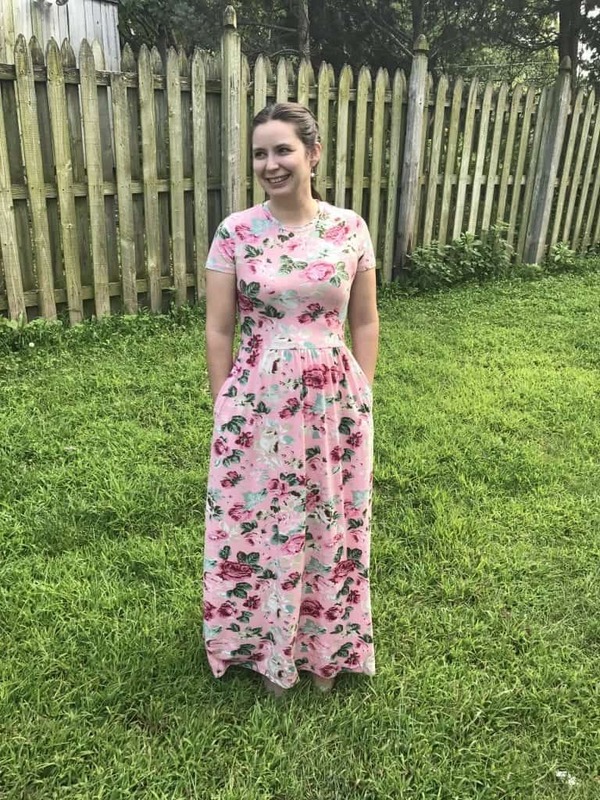 4 Comments on Modest Monday and a Link Up! Don’t you love those outfits that are just grab & go, no extra fuss or accessories … especially when you’re so busy! I know you will love your hardwood floors. We had an older home for many years. We did the same thing with polyurethane. They survived raising 4 kids and still looked great. Thanks for hosting. I look forward to hearing about the house when it’s done. I hope we’ll get to see some photos. I’m not sure if you’ll read this post, but I want to seek your advice. I am a new dental hygienist (and greatly enjoy this job and it’s flexibility!) but I am wondering what advice you’d have for me, as I wear scrubs everyday. How can I be more feminine? Although scrubs are wonderfully comfortable, I struggle with the fact that they aren’t very feminine. I know there are scrub skirts available, but unfortunately I don’t think they’d be very practical for me. Thank you for taking the time to read this, and I appreciate any insight you may be able to provide.